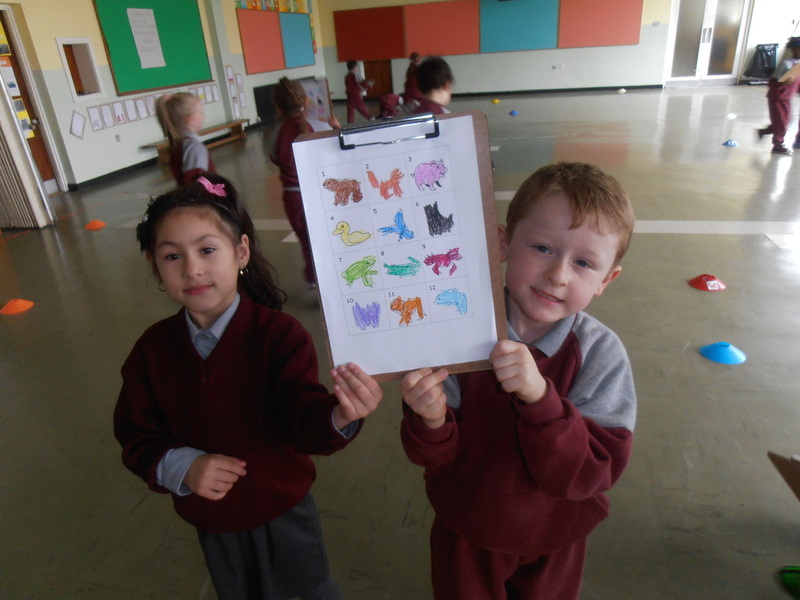 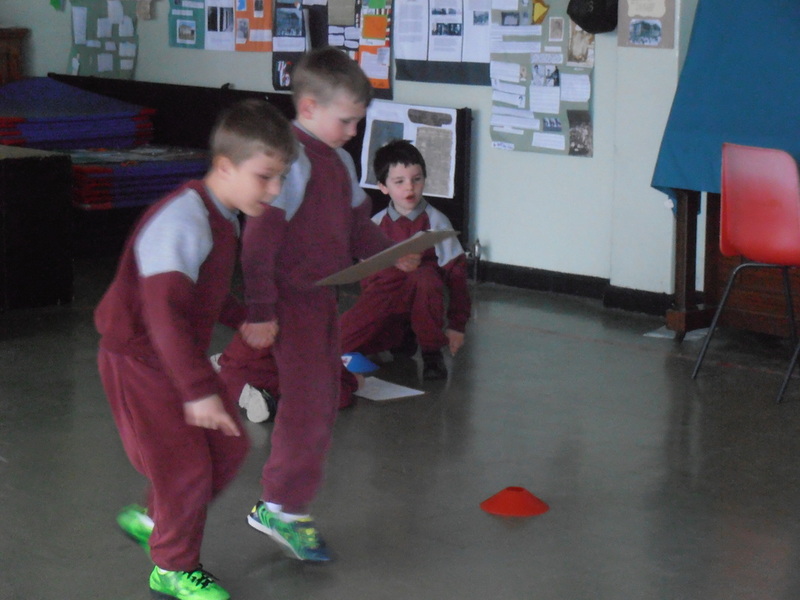 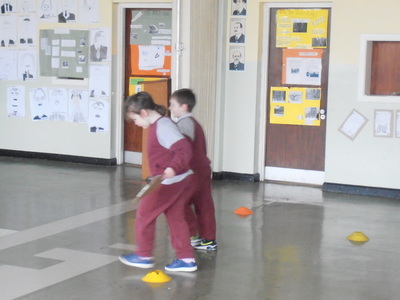 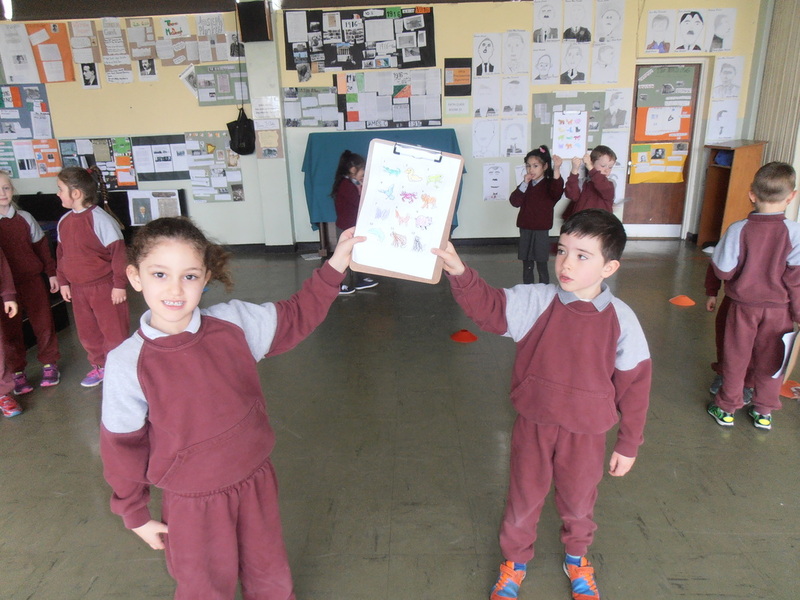 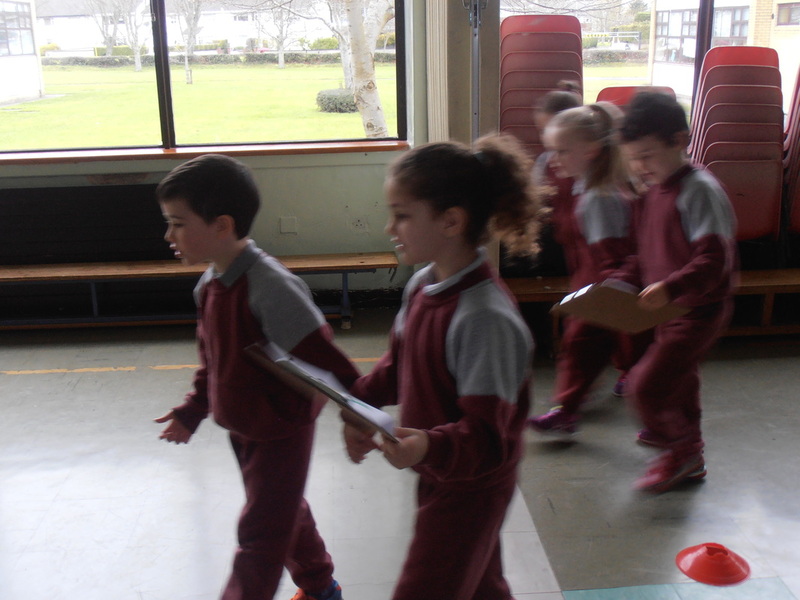 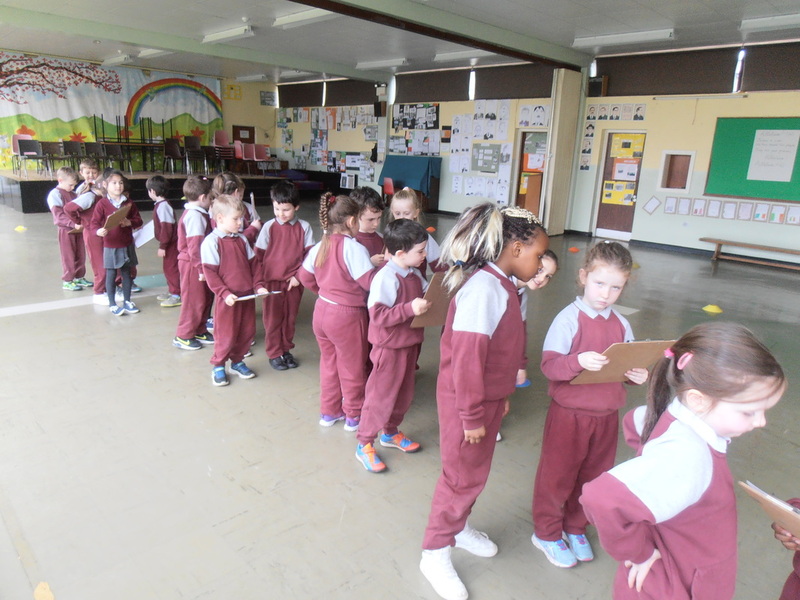 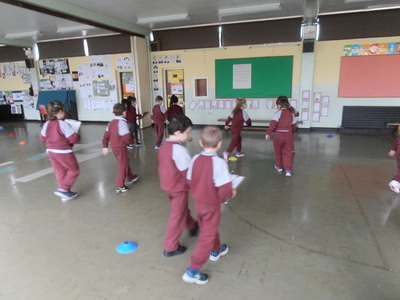 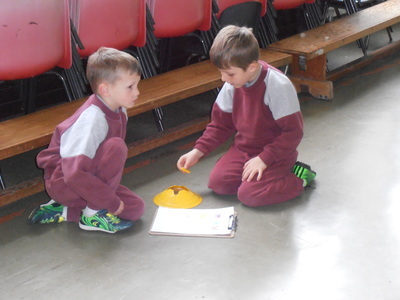 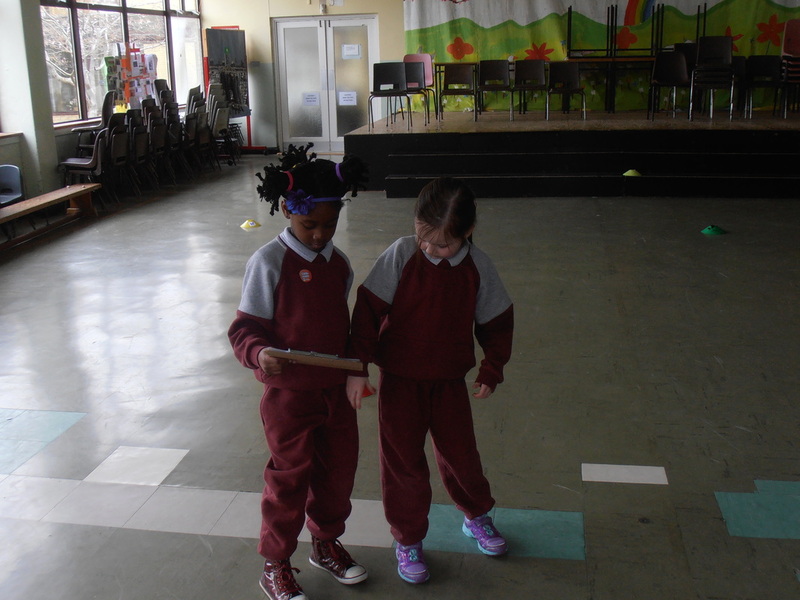 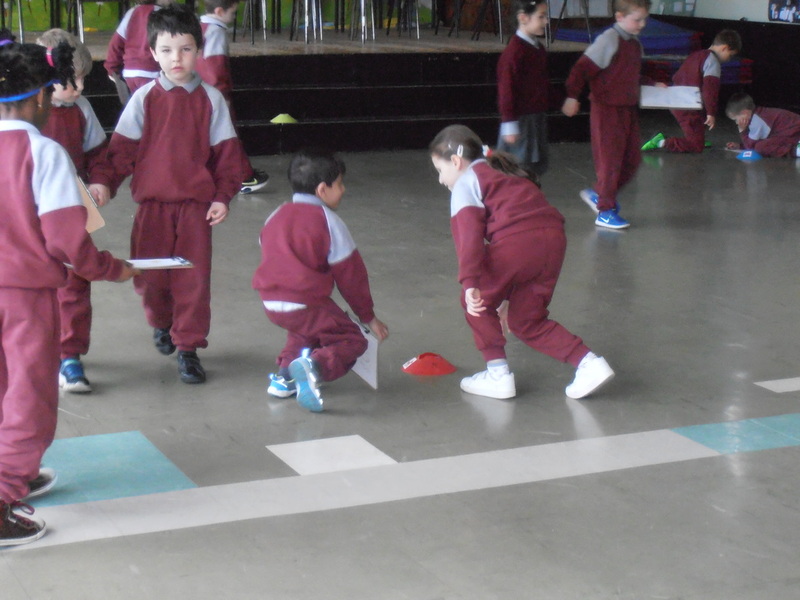 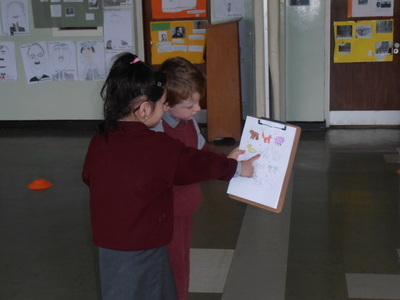 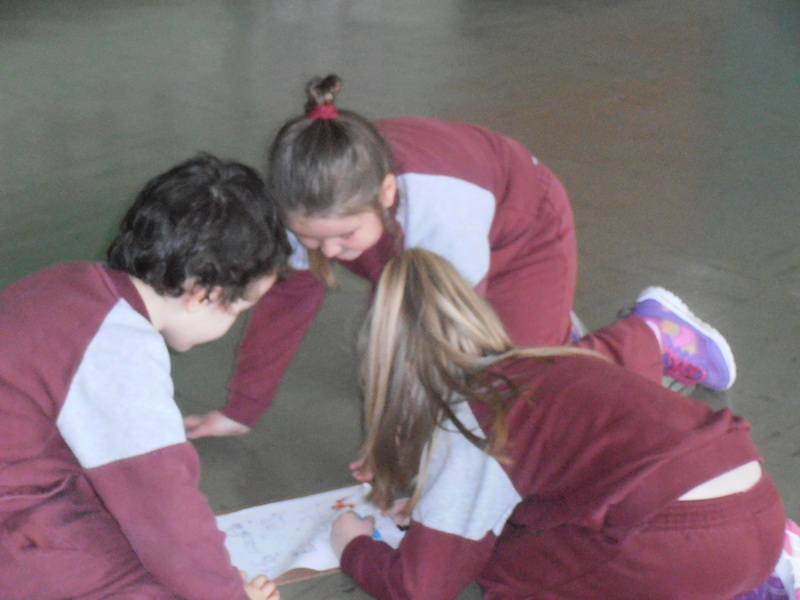 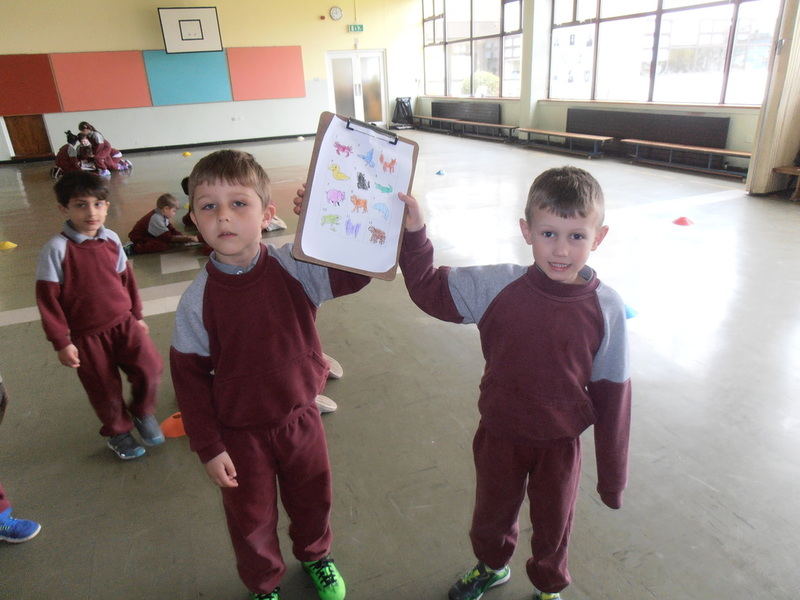 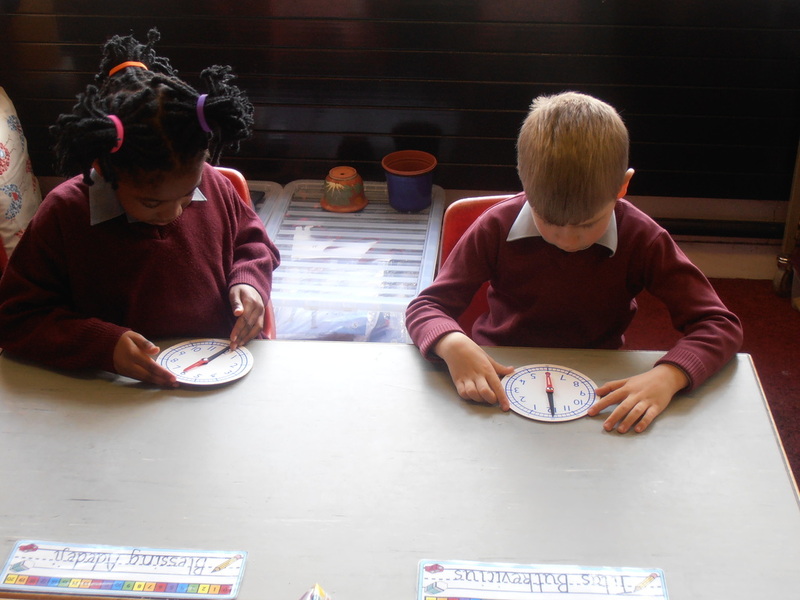 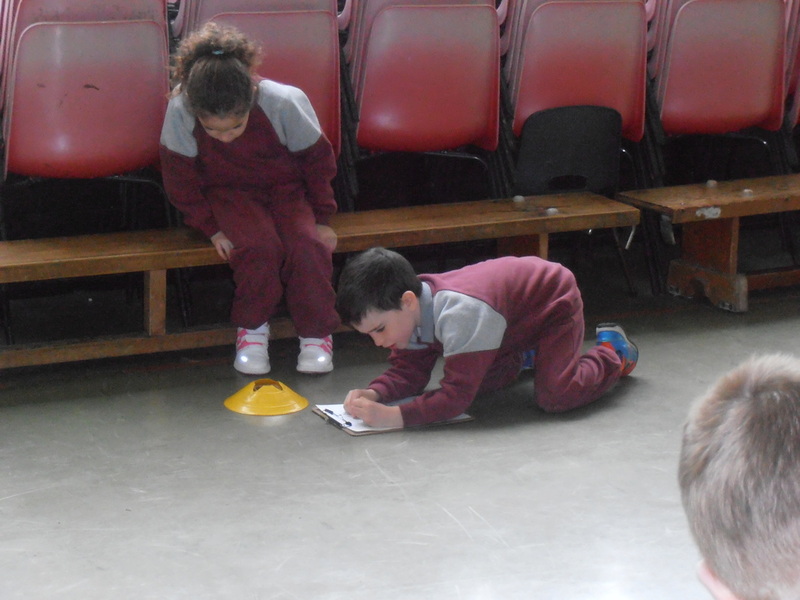 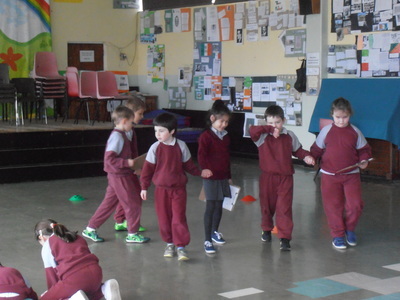 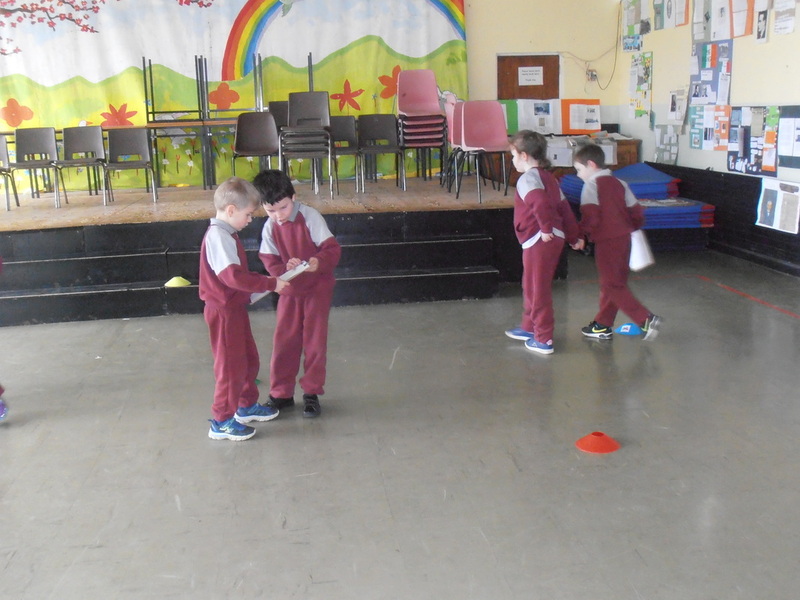 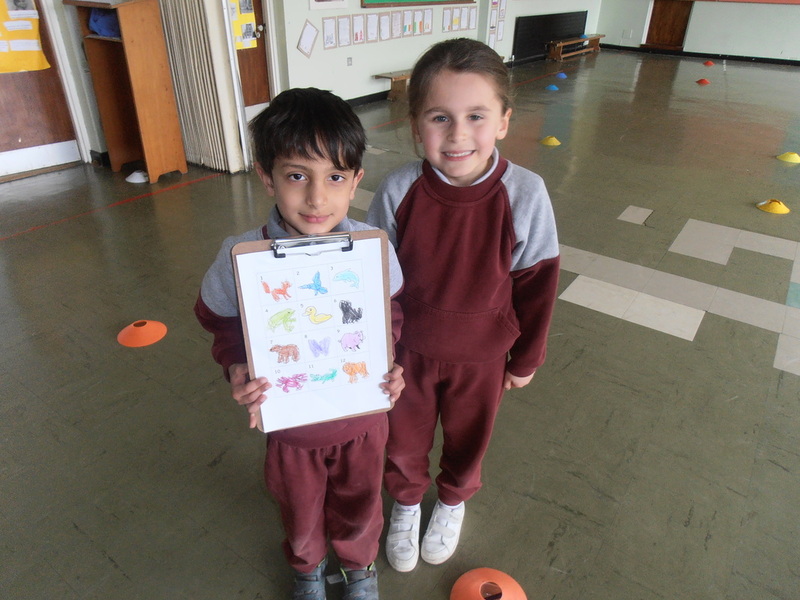 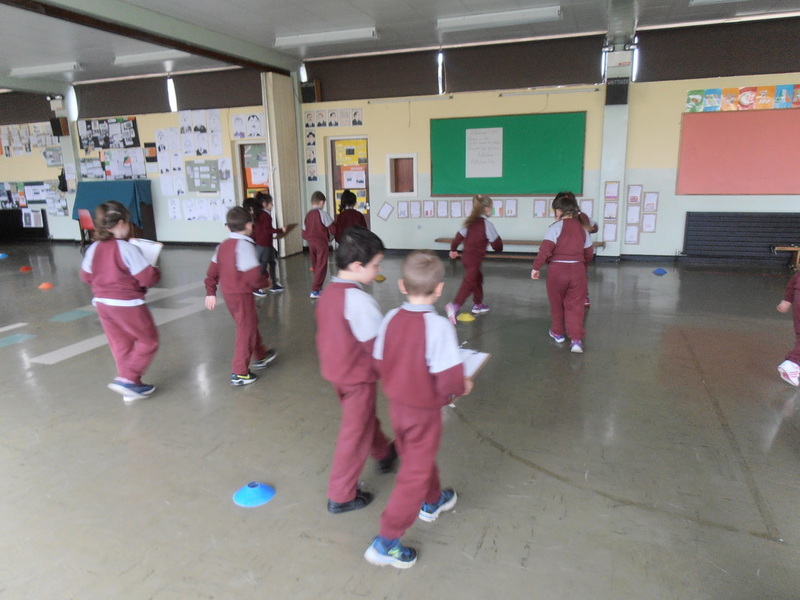 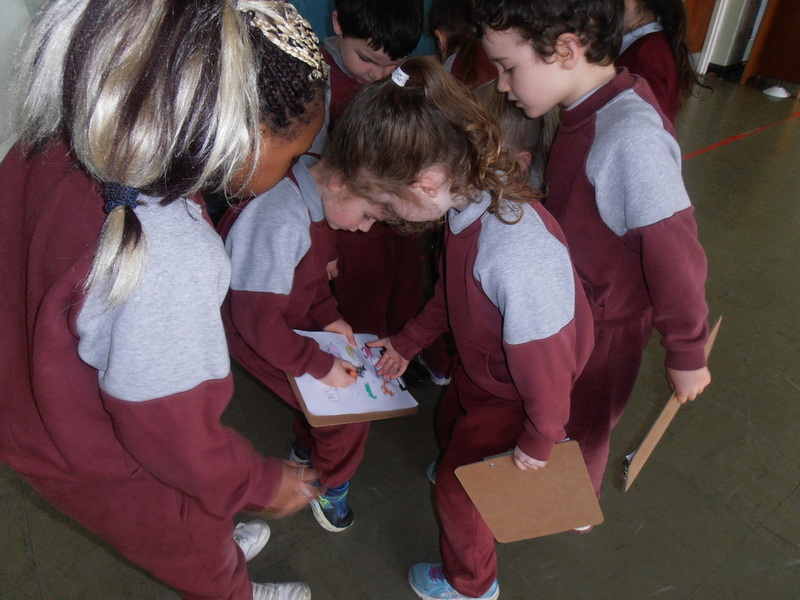 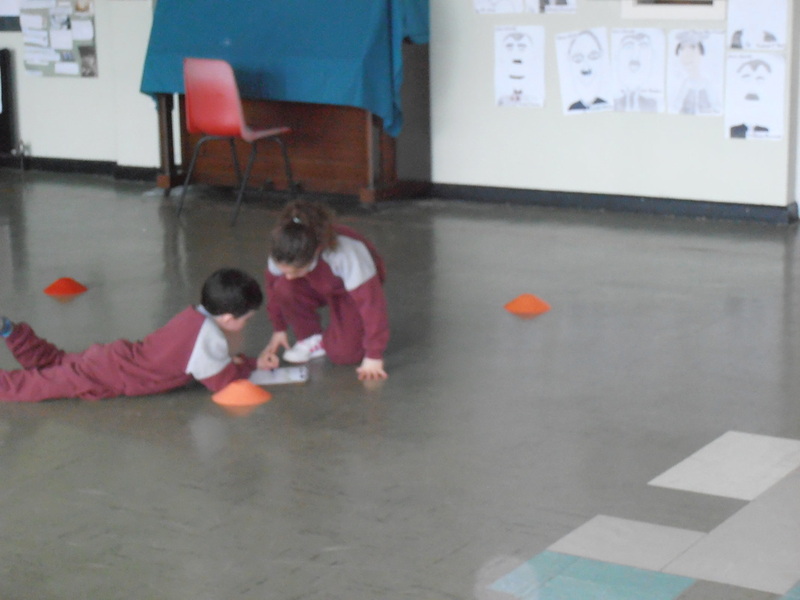 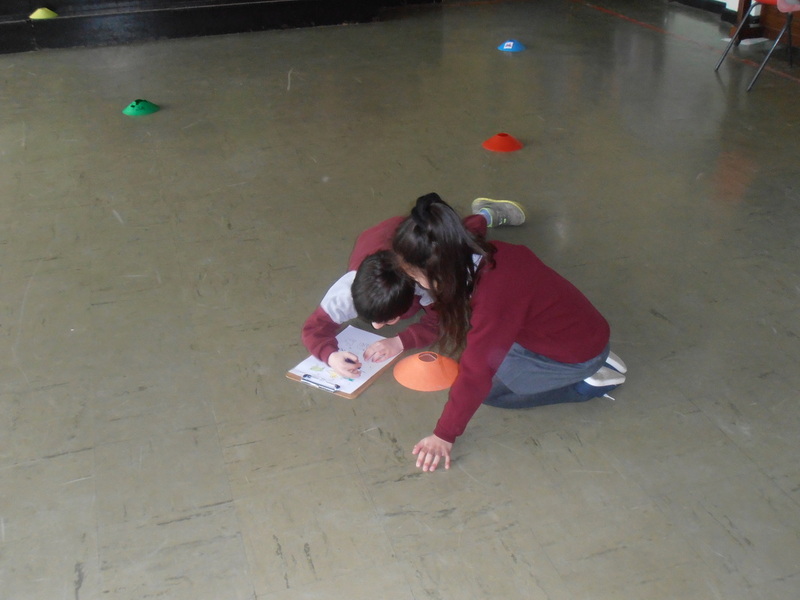 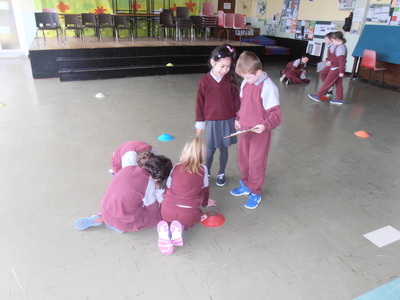 This week we are doing orienteering in P.E. 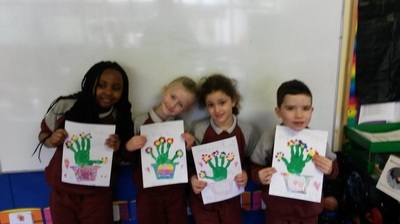 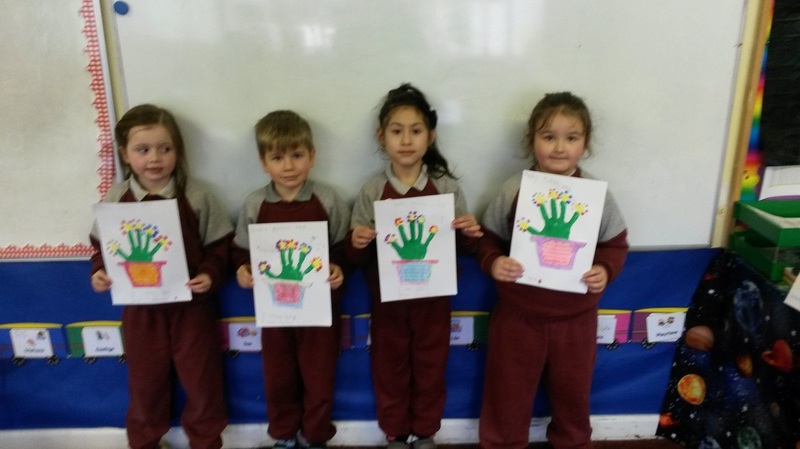 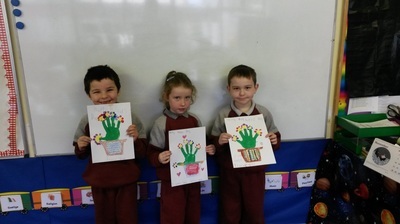 We made Valentine Wreaths this week for art. 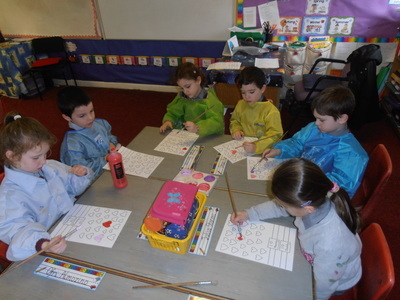 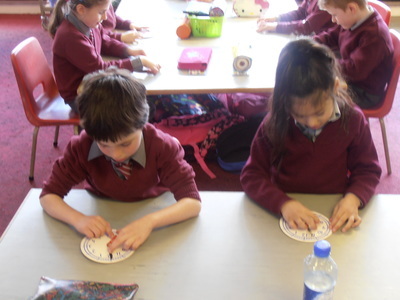 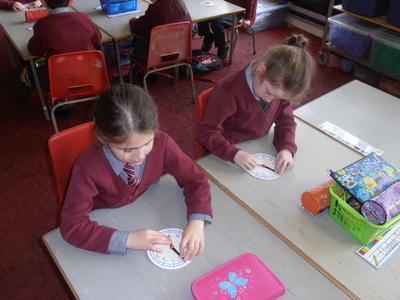 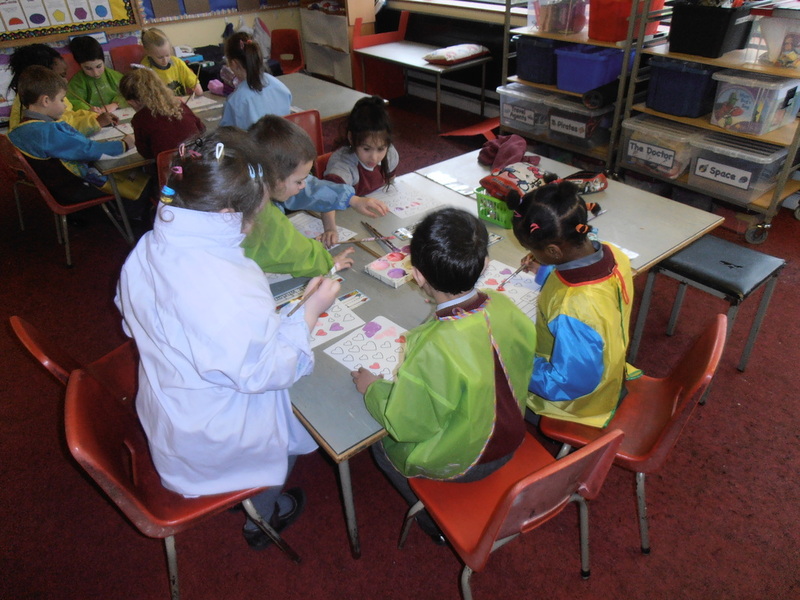 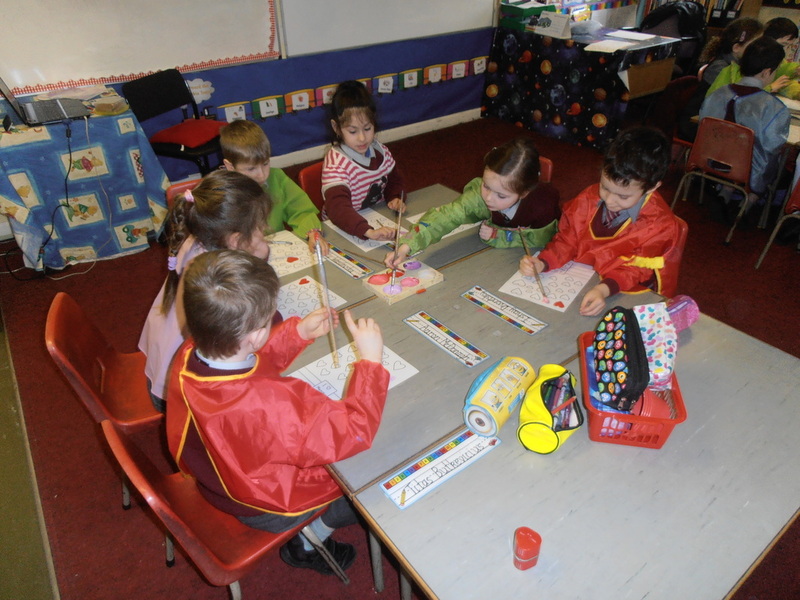 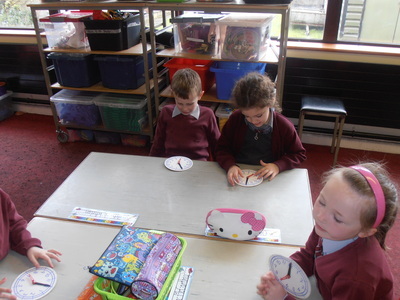 We had great fun painting all the hearts and we practised our fine motor skills cutting them all out. 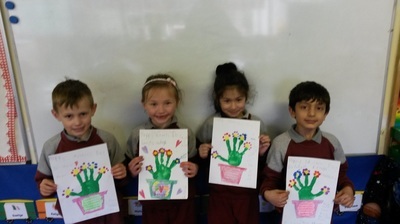 We are celebrating Friendship Week this week. 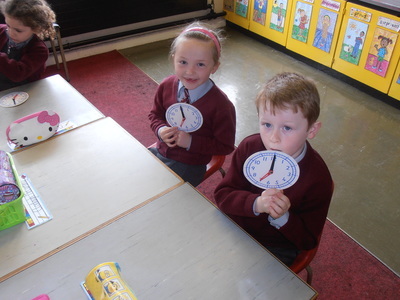 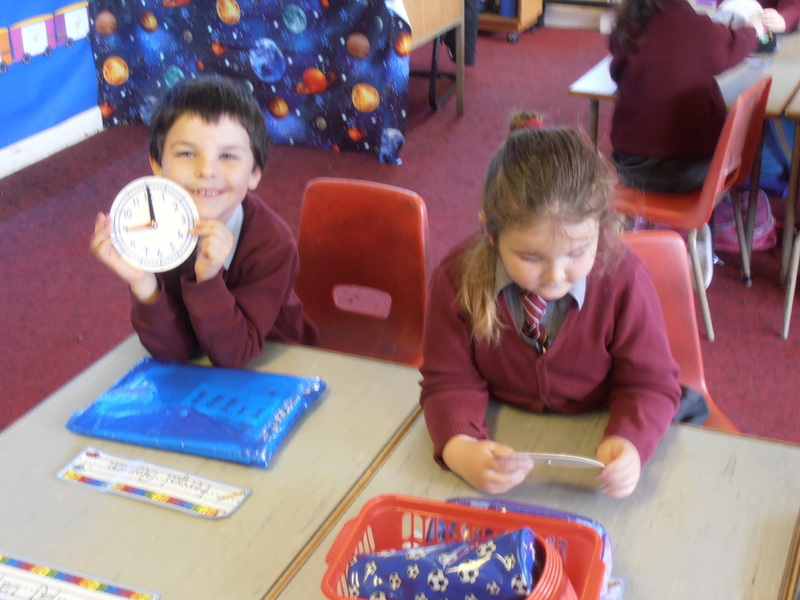 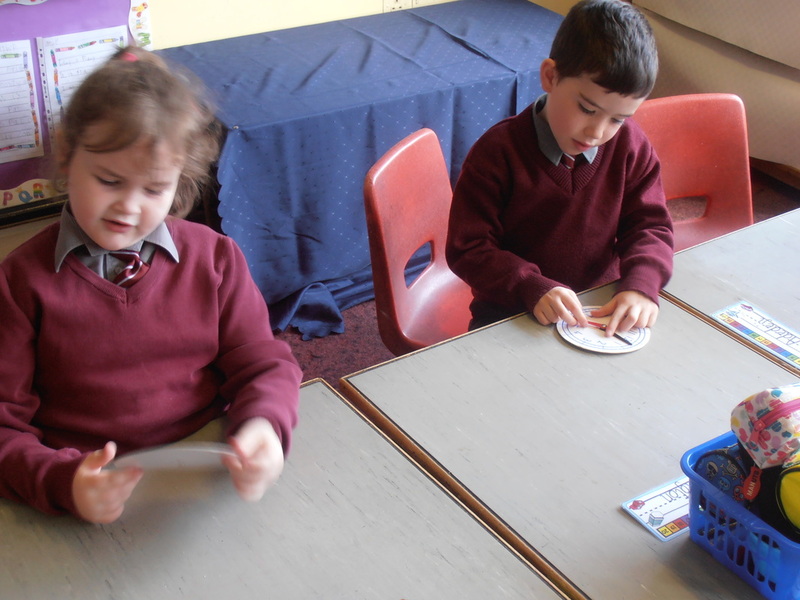 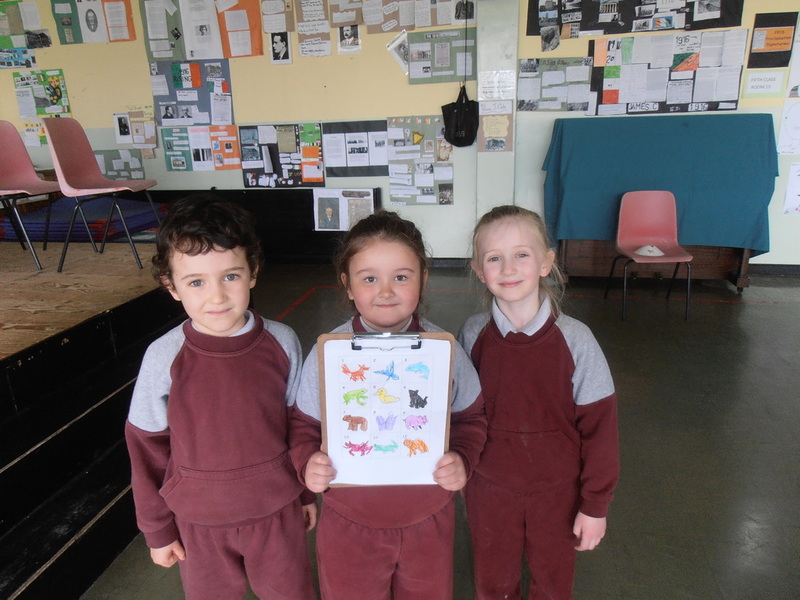 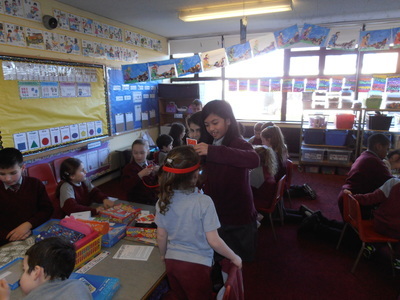 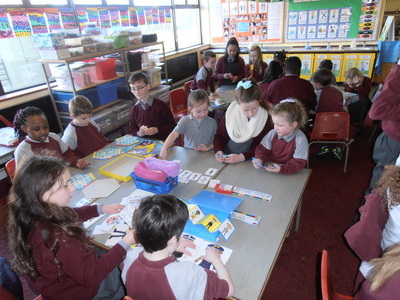 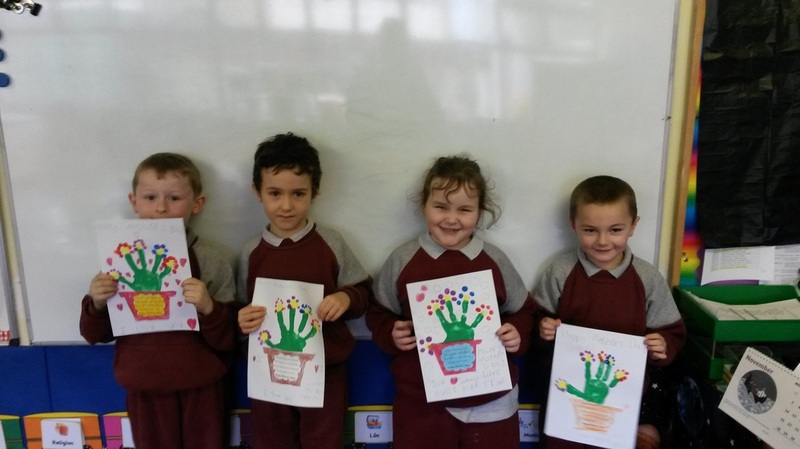 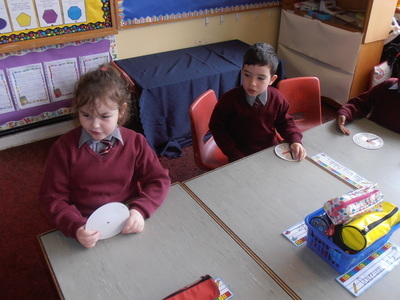 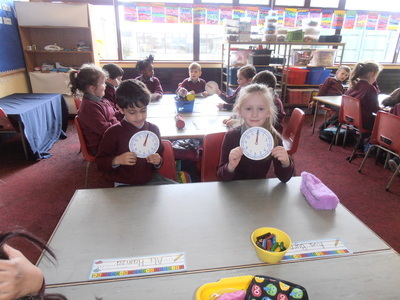 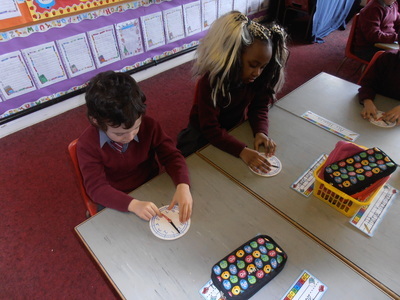 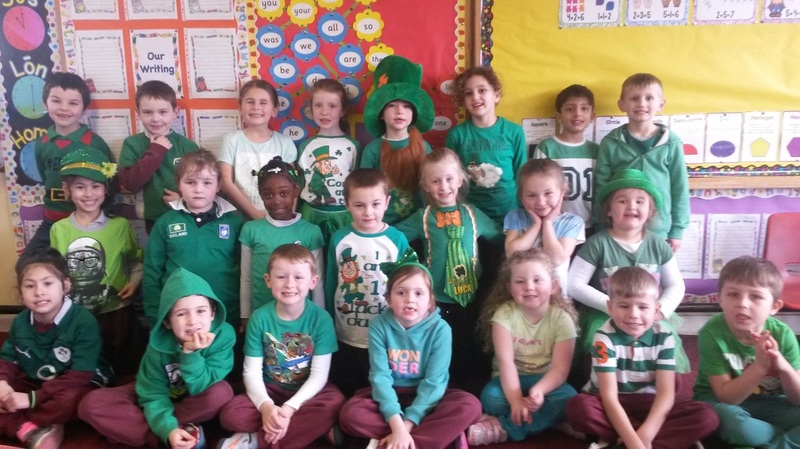 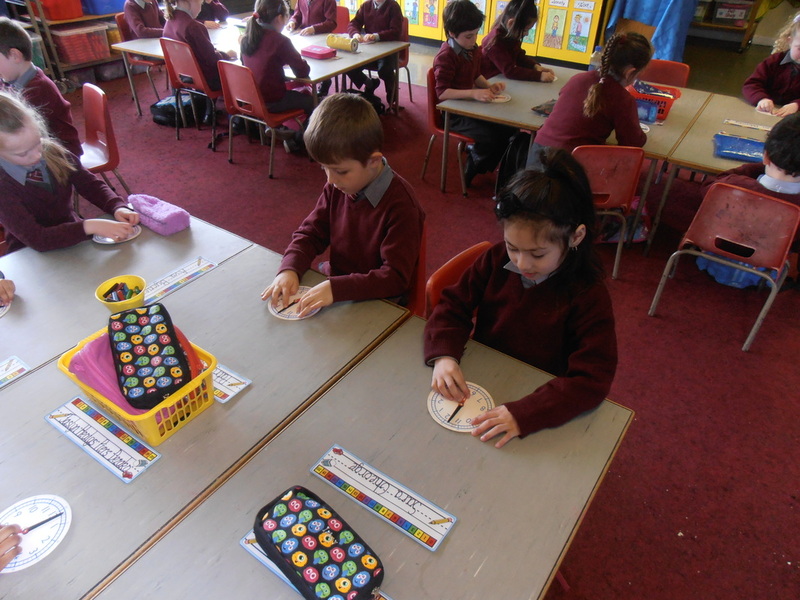 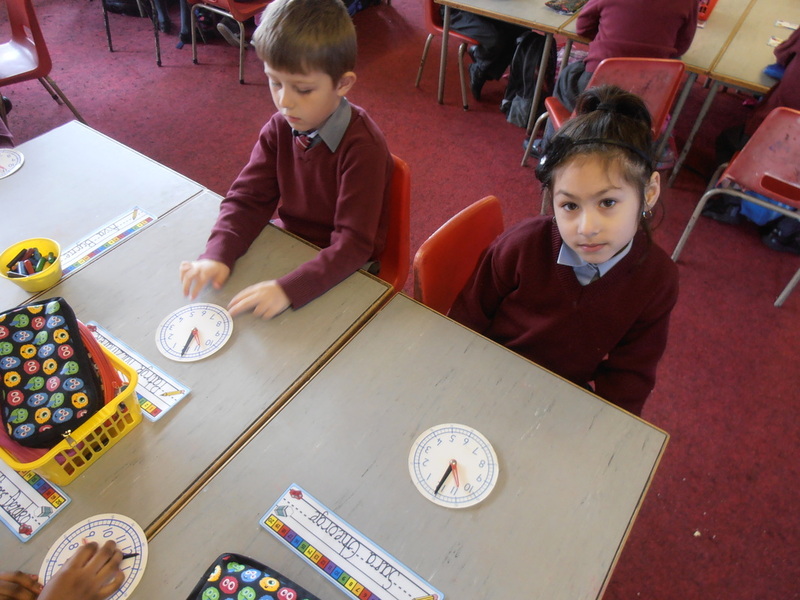 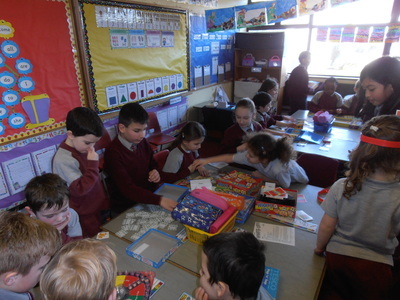 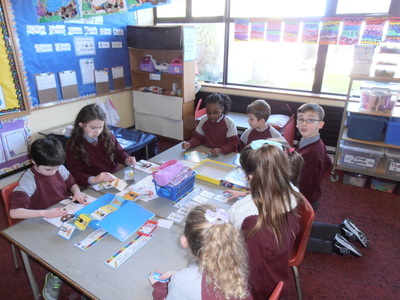 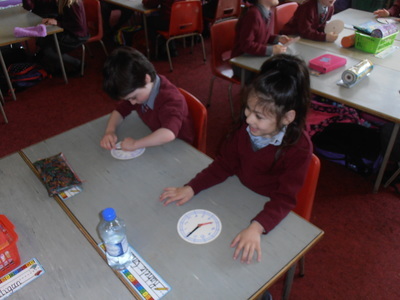 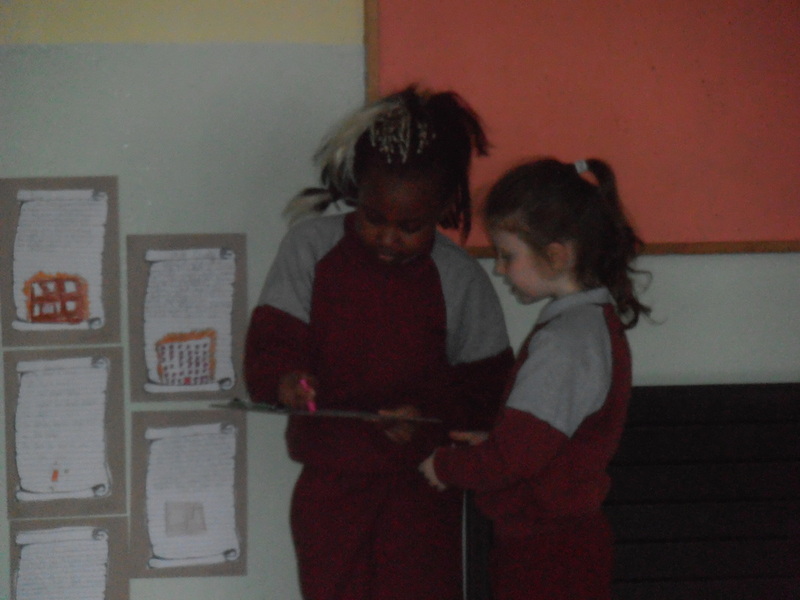 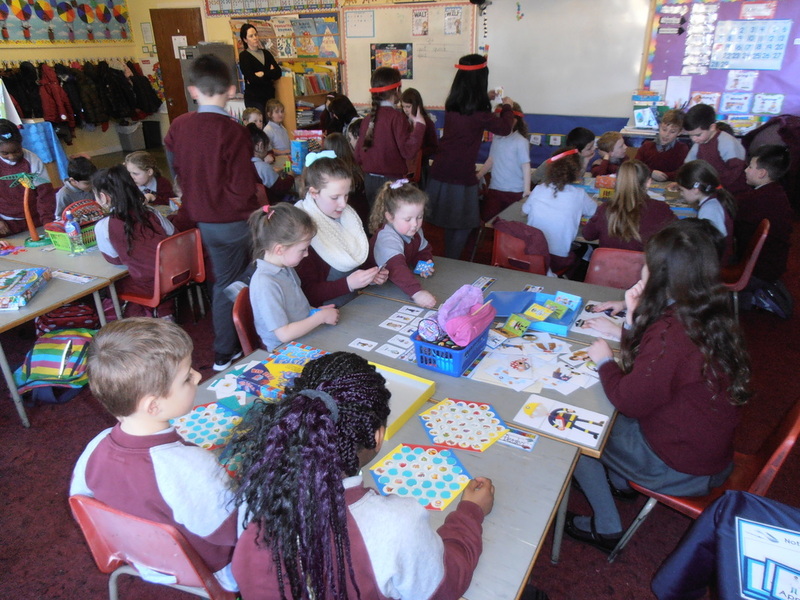 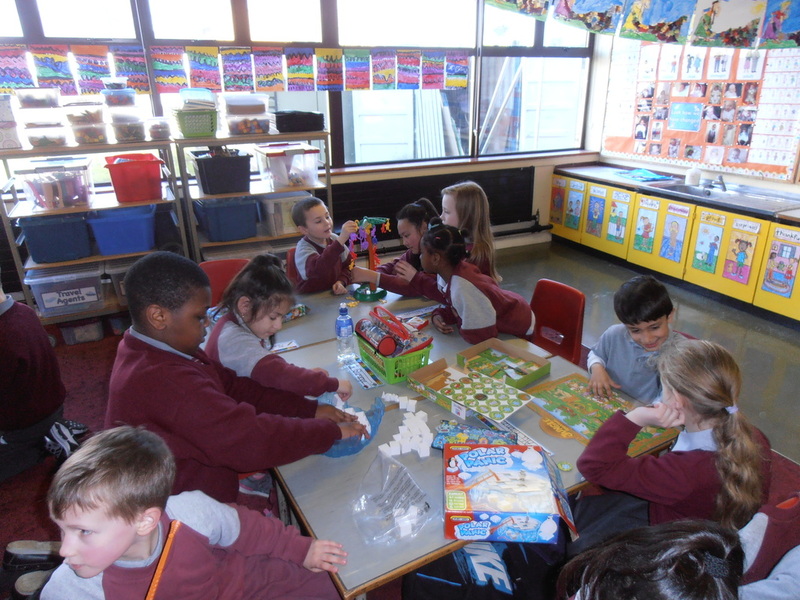 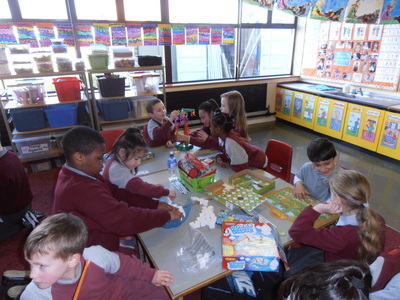 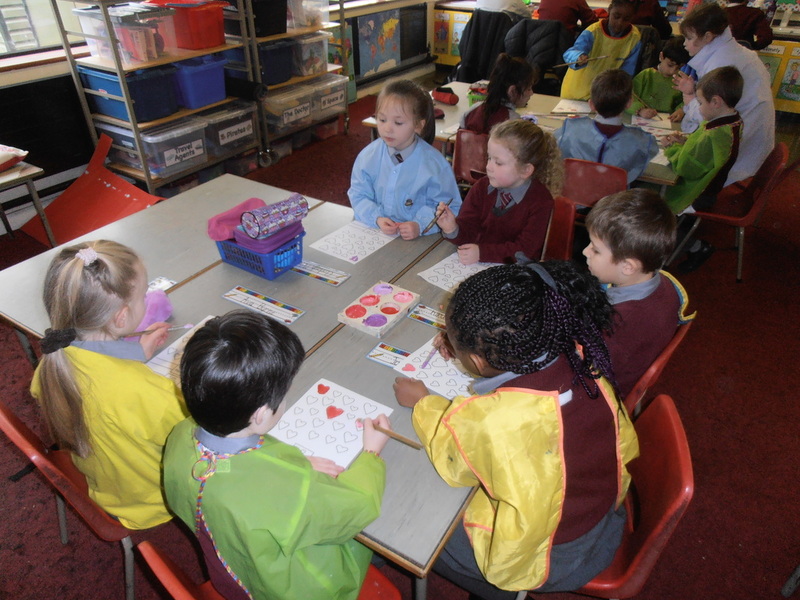 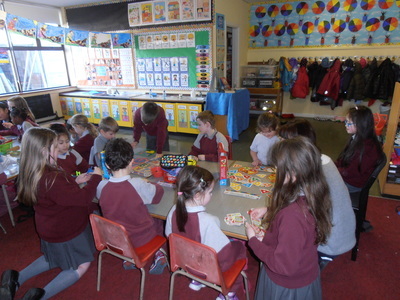 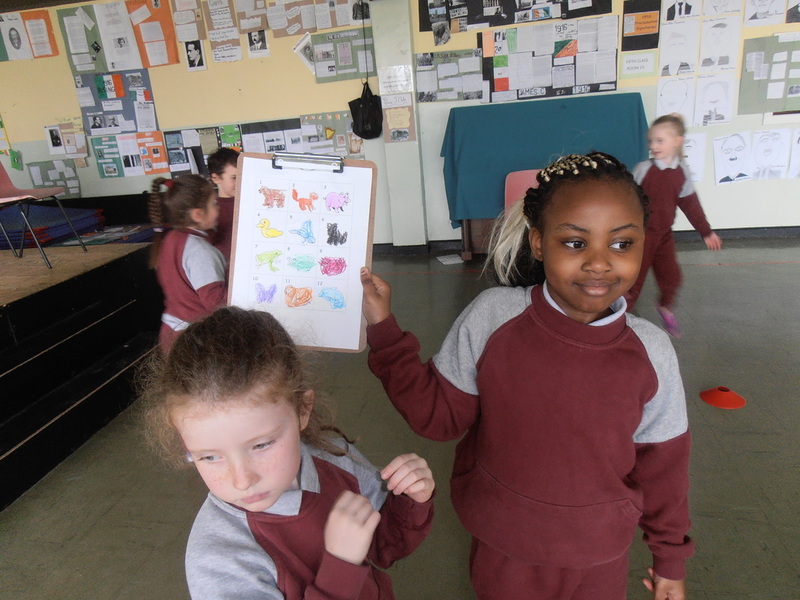 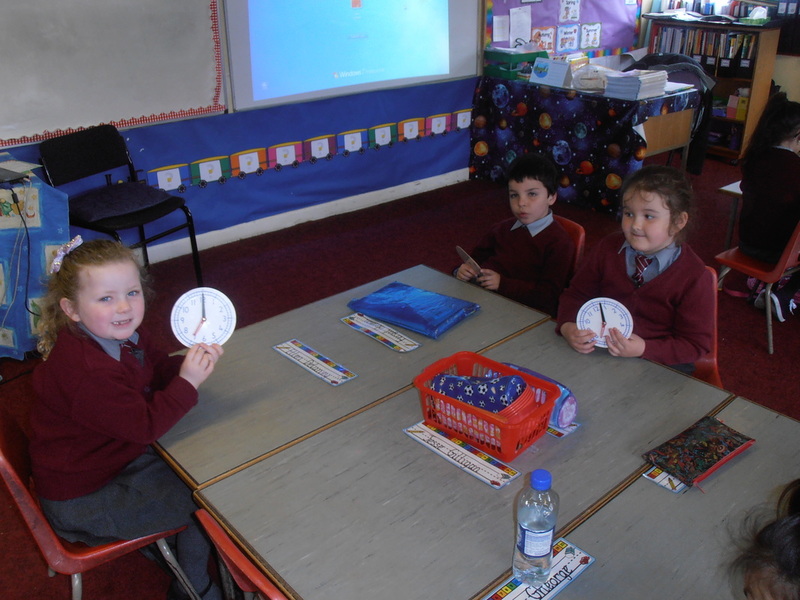 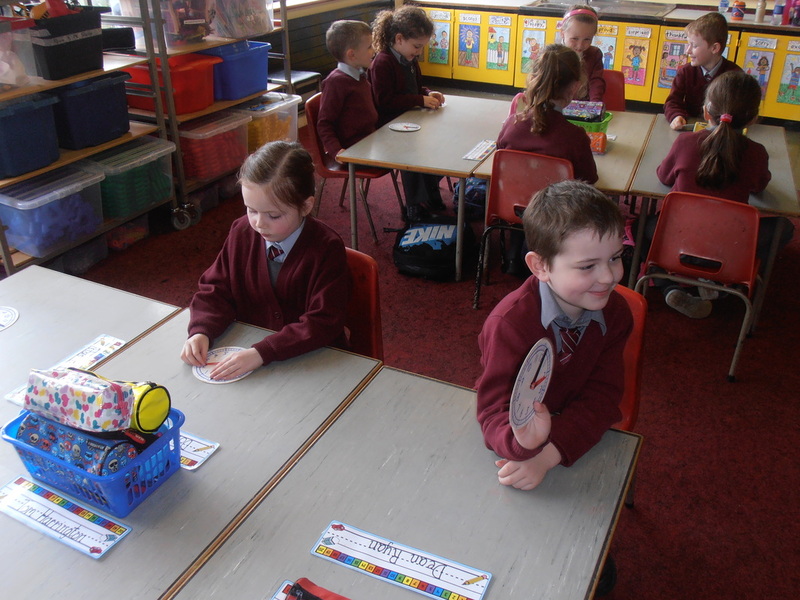 The children from Ms. McCormack's fourth class came to visit us and play some board games with us.